So I thought, how can I make defining your voice, your brand voice specifically, simpler? The lesson was about how to keep your films direction from going off the rails when you have input and ideas coming from all angles; your team, your client, your mother. It didn’t come to me at the time but later, while reviewing those very notes that I thought maybe this could help brands get more clear on their voice and use it in a consistent manner, even if they hired someone to do all their writing. First on myself, then on a couple of my test subjects and the results were not only impressive, they were immediate. What an incredible filter to see myself through. I got to the point quickly - no more rambling! Branding, like storytelling, is about shaping perceptions. And people pay attention to brands (and stories) because of the expectations they create. When someone say’s Once Upon a Time, we expect a story with a beginning, a middle and a satisfying end. When someone say’s your brand name, they expect something too. How you define and express your brand voice is part of a perception you design which, over time and when shared consistently, creates an expectation about your brand. The struggle for most brands is in defining and expressing that voice consistently. You have a purpose but don’t know how to articulate it intentionally so that people connect, care and remember your brand in a meaningful way. What’s most inspiring about your work? For each question, jot down 20-30 adjectives. Group those adjectives into similar categories. From your groupings, choose the one word that best answers the question. Group your five keywords together, and you’ll have a glimpse into your brand voice. 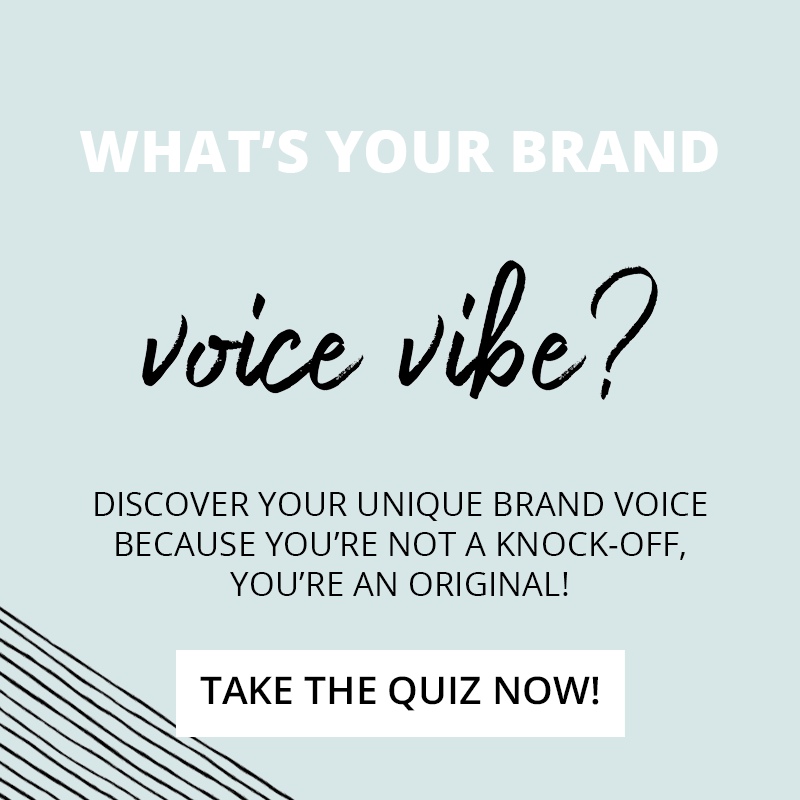 Take the Brand Voice Vibe Quiz and let me do all the heavy lifting. 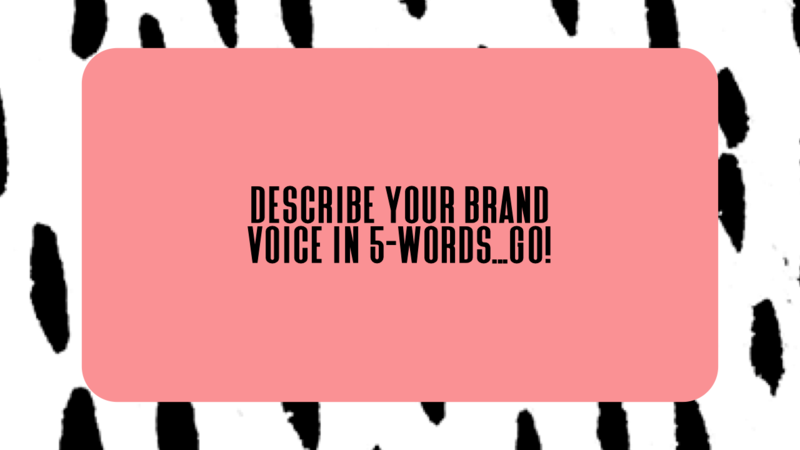 Click the link below and in less than a minute, I’ll define and describe your brand voice for you. And if you want even more information about your brand voice, enter your email when prompted and I can send you a deeper dive.